True to my obsessive nature, I created my answers to the chat questions in advance. That way, I could cut and paste them right into the chat. I mistakenly assumed I would have the perfect and best answers for every question. Well, I was mistaken. The amazing guests and participants also had exceptional money advice about how to create financial goals. Writing goals down is like magic. There is power in goal setting. As soon as the goal is written, it’s power begins. As long as you review and revise your goals, you’ll likely reach them. Without goals, your progress wanes. These goal setting tweets are filled with wisdom beyond 140 characters. And be sure to follow these wise money pros on twitter. Why is it important to set financial goals? Leslie H. Tayne @LeslieHTayneEsq-Setting a financial goal can make it easier to save your money. It’s easy to put money away when you know where it’s going! Krystal Blais @k_rystal_clear – While it’s good to live day by day, it’s always a good idea to be prepared for the future & setting yourself up for success! What types of financial goals should a person think about creating? @MyFabFinance – I created free goal setting sheets for people who need a little help w/ determining what their goals are. @LeslieHTayneEsq – Goals don’t have to be huge though. It could be as simple as putting a part of your paycheck into savings all year. @SenseofCents– Financial goals can include debt payoff, home ownership, retirement, financial independence, and more. @wisebread @Experian_US – Both short term (i.e. Emergency fund) and long term (i.e. Retirement). The hard part is balancing the two! @mikedelgado – It’s easy to get overwhelmed and frustrated with your financial goals if not realistic. Need to adjust as life happens. 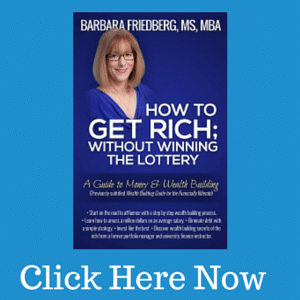 @barbfriedberg -Biggest mistake is not writing the goal down. 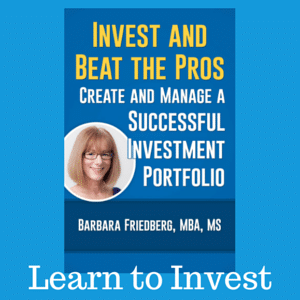 Sign up now to get a discount copy of my new book; Invest and Beat the Pros-Create and Manage a Successful Investment Portfolio (and get a free Investing Cheat Sheet now). What are the steps involved in creating a financial goal? @TravelingWallet @Experian_US – Setting a baseline, before you can improve you need to know where you stand. With exact numbers you can set goals. What are ways to stay motivated and on track to achieve your financial goals? @LeslieHTayneEsq – Don’t forget your goals. My phone alarms all have little messages attached to remind me of them as soon as I wake up. @mikedelgado – Share important goals with a close friend who can keep you accountable. H/T @jjeffrose “battle buddy” tip “Soldier of Finance. @MyFabFinance – It’s important it is to break your goals down. It’s hard to remain motivated when your goal seems out of reach. @MyFabFinance – When working towards financial goals, run your own race. Don’t worry about what others are doing. 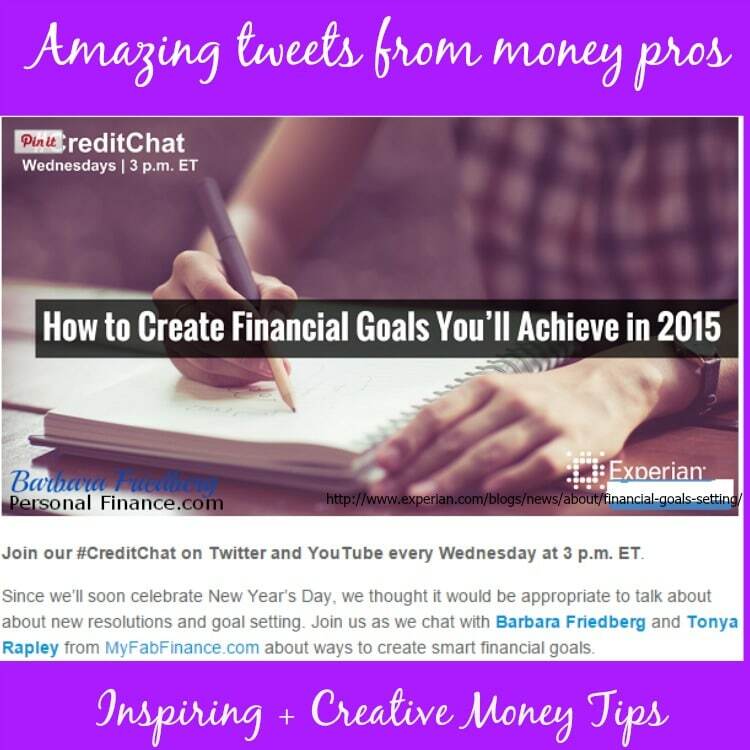 @MsMadamMoney – Remember that financial goals to financial freedom is a marathon not a sprint. Pace urself & get an accountability partner. What happens if your goal is not achievable? How/when do you adjust? @MyFabFinance – I say you adjust a goal once you recognize that it’s unachievable. If you are committed to the goal, break it down. @tkstaxlady @Experian_US – I use @ynab to budget cuz it helps me adjust for those moments…Move money from one line item to compensate. 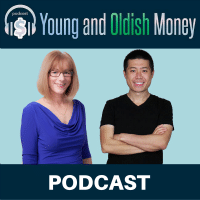 @theivyinvestor – When you keep track of progress toward goals weekly/monthly, you see problems early & can make adjustments. Coming soon, my new book; Invest and Beat the Pros-Create and Manage a Successful Investment Portfolio- Sign up here (and get a free Investing Cheat Sheet now). What are your strategies for to create financial goals that you’ll achieve? These are some great goals to get me motivated. “Remember that financial goals to financial freedom is a marathon not a sprint” so true! It takes time and commitment. @Michelle and Simon-So true. It’s helpful for me to review goals all the time to keep inspired. Thanks so much! I’m glad you found my tip useful and I hope your readers apply it! Its hard to know how far you’ve gone if you don’t know where you started. “I created free goal setting sheets for people who need a little help w/ determining what their goals are.” – this is great, I will do this as well. Great post! Thank you for sharing the article. It’s very useful. Hope to hear more from you.